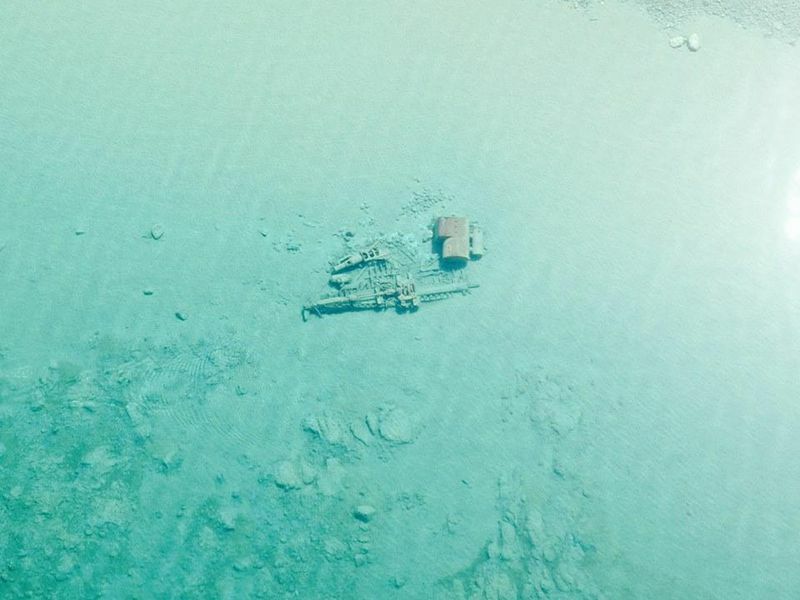 A British salvage team recently recovered $50 million in silver coins that had rested nearly 17,000 feet beneath the surface of the Atlantic Ocean for more than 70 years, victims of a World War II U-boat attack. 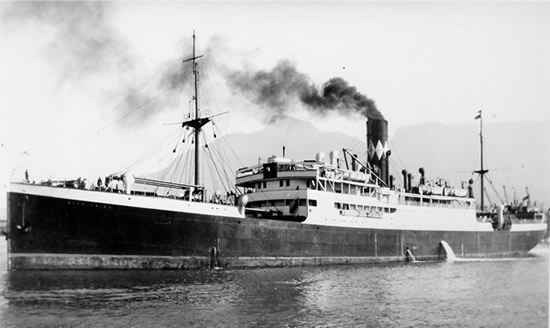 The SS City of Cairo was carrying 100 tons of silver coins from Bombay to England when it was torpedoed 480 miles south of St. Helena, about 2,500 miles east of Rio de Janeiro, by German submarine U-68. The silver rupees, which belonged to the British Treasury, had been called in by London to help fund the war effort, according to the BBC. The recovery marks the deepest salvage operation in history. The City of Cairo was cruising in the remote South Atlantic on Nov. 6, 1942, when the steamship’s tall plume of smoke was spotted by U-68. 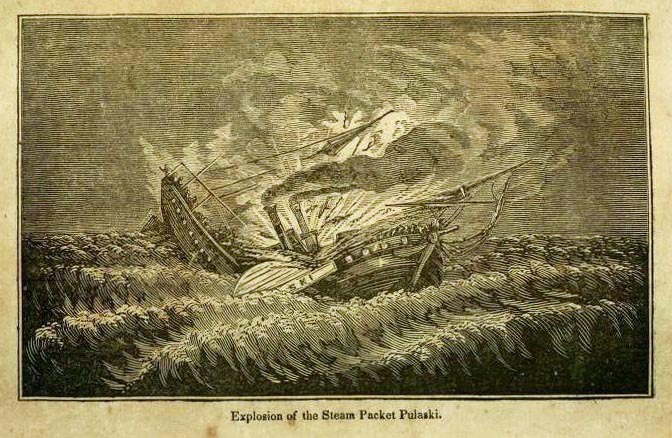 Captain Karl-Friedrich Merten ordered a single torpedo fired at the vessel, then waited 20 minutes for the 311 passengers and crew to take to the lifeboats before firing a second torpedo. 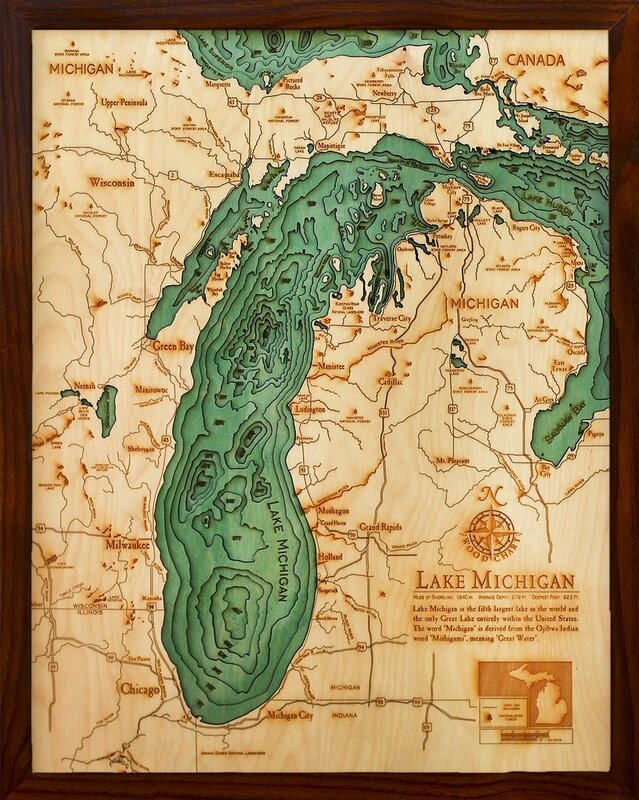 Merten famously directed them to the nearest land and said: “Goodnight. Sorry for sinking you,” according to the BBC. 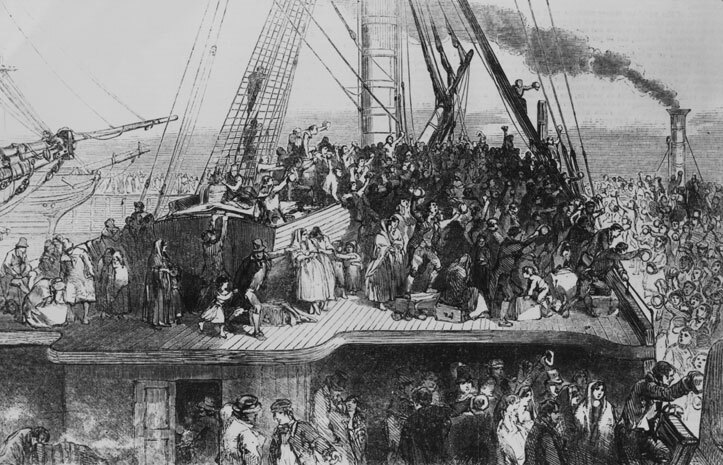 While just six of 311 people aboard the City of Cairo died in the sinking, it would be three weeks before any of the six lifeboats would be located, with the last lifeboat at sea for 51 days before being found. During that time 104 of the 305 survivors died. If you’ve ever had occasion to see a giant ray gliding gracefully through the water, you understand what stunning creatures they are. Prehistoric in appearance, stingrays and other rays possess an elegance of movement that is rare on land or sea. 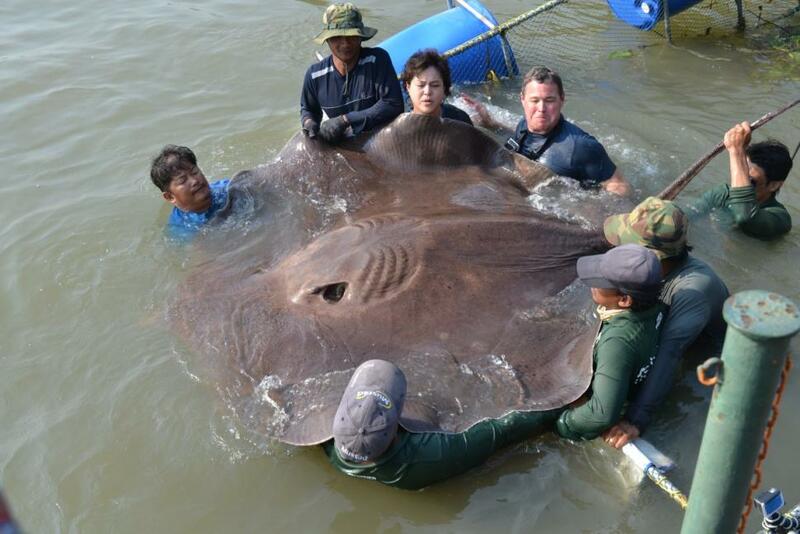 Most stingrays are relatively small, but nature conservationist Jeff Corwin caught a massive 14-foot-by-8-foot beast recently in Thailand. The stingray weighed as much as 800 pounds and was caught on rod and reel, according to Corwin, host of Ocean Mysteries. The catch may set a new world’s record for the largest freshwater fish ever caught. 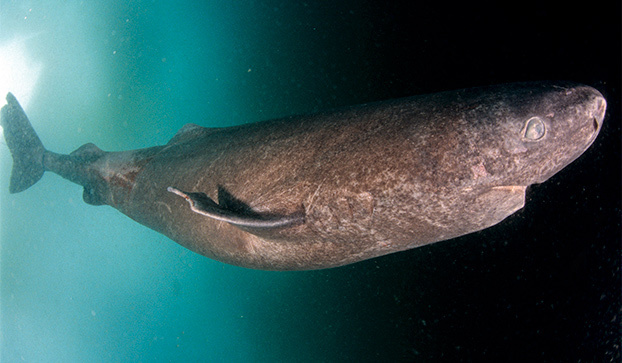 The current record holder is a Mekong giant catfish, according to Guinness World Records. “It was an incredible moment of adventure and science,” Corwin told USA TODAY Network. “Multiple people were on the rod and reel trying to pull this monster in,” he said, adding that it took two hours to secure the fish. The stingray, which was pregnant, was released after capture. Corwin was on location filming an upcoming episode of Ocean Mysteries along with Nantarika Chansue, an expert on stingrays who has been studying them in the region. An embedded microchip in the stingray revealed that Chansue had caught the same animal six years prior, according to Corwin. One can only hope that whoever owns the Hoegh Osaka has plenty of insurance. The above ship, carrying at more than $50 million worth of high-end cars, was deliberately run aground off the coast of the United Kingdom this past weekend to keep it from capsizing after it began listing dangerously. While the ship remains afloat, it’s almost certain the 1,400 Jaguars, Land Rovers and BMWs, along with a single $375,000 Rolls-Royce Wraith, aboard the vessel took a beating. 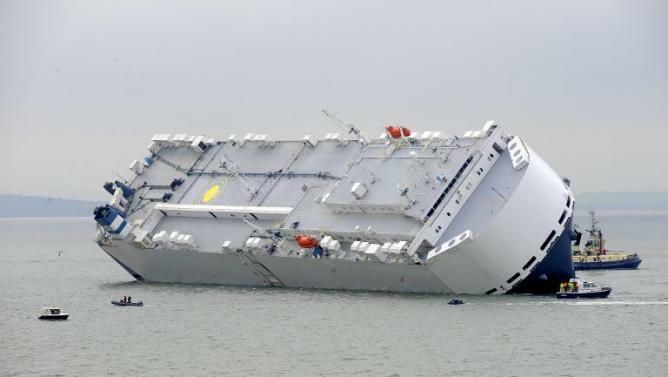 The 57,000-ton Hoegh Osaka was run aground between Southampton and the Isle of Wight. It was listing at an angle of 52 degrees as of Sunday night. The salvage operation, which could take months, cannot begin “in earnest” until the bad weather has passed, according to a spokeswoman for the Maritime & Coastguard Agency. The cars may have to be scrapped to avoid future legal action, according to The Telegraph.